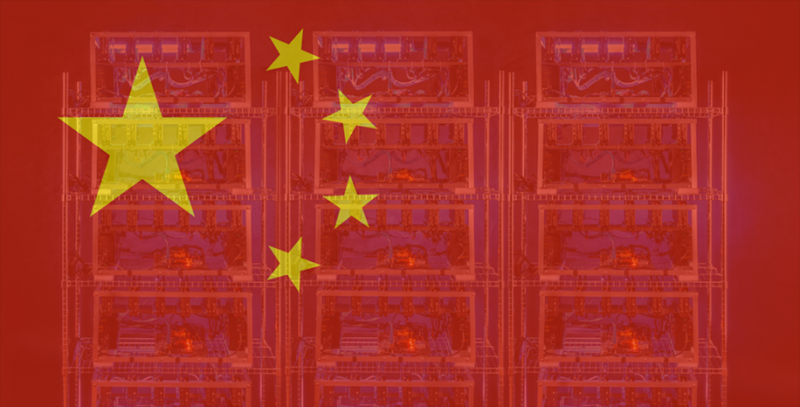 A Chinese electricity utility company has uncovered an illegal crypto mining operation, reports have revealed. A household located in Guandong province was caught by authorities stealing electricity for a BTC mining farm they had at home. Officials from the Chinese PowerCompany’s Meizhou municipal branch found the improvised mining facility. Reportedly, they found illegally connected electricity cables during one of their routine inspections in Fengshun County, which prompted them to carry out an investigation. The power cables ran over some back alley to an upper floor of one residual building. The suspects powered 56 smartphones and up to 15 home-made mining rigs. Weibo, the popular Chinese micro-blogging platform posted photographs of the connections. The southern China Morning Post reported that the facility has for long been used to mine bitcoins. Mining BTC is often power-intensive, requiring lots of power and some serious cooling. Highly-specialized hardware is used to handle the huge number of calculations that are involved in the BTC transaction processes. The units that are capable of handling the entire process are called ASICs (Application-Specific Integrated Circuits). While it’s possible to mine several other cryptocurrencies without using dedicated hardware, powerful GPUs (Graphics Processing Units) have to be used. Using mobile phones to mint BTC isn’t, therefore, a profitable undertaking given their negligible and not-so-sufficient computing power. Mining just one BTC can consume up to 18,000 kWh of electricity. According to Digiconomist, in 2017 alone, BTC mining burned over 40 TWh while processing ETH transactions burned over 10TWh. However, the Chinese household did not pay for the electricity their phones and mining rigs consumed, which means that if the power was used to mint some altcoins, they probably made some profit. Officials from the Chinese utility firm say that illegal mining firm has consumed about 32, 940 kWh of electricity. A local publication, Yancheng Evening News, detailed that law enforcement officers are still looking into the case. However, authorities are yet to name the suspects involved in the illegal cryptocurrency mining operation. Unlike ICOs and digital currency trading, mining cryptos has not yet been considered as an illegal activity in the Chinese People’s Republic. In fact, some of the globe’s largest digital currencies mining firms are concentrated in the power-rich provinces and regions with cooler climates. Many estimates indicate that presently, up to 80 percent of the world’s BTC mining capacity resides in China. However, in the future, the status quo may change. Earlier this year, media reports suggested that Beijing is worried about potential energy shortage in the provinces hosting the largest crypto mining facilities. Authorities in Xinjiang-Uygur and Inner Mongolia (two autonomous regions), and in two provinces, Yunnan and Sichuan, recently received recommendations to control and restrict electricity supply to mining facilities. Even if China’s government decides to stop crypto mining operations in the country, BTC mining is not going to stop. The U.S, Canada, Iceland, Russia and several other Eastern Europe countries have received a lot of attention as potential favorable destinations, and currently, there is some competition to lure Chinese miners.